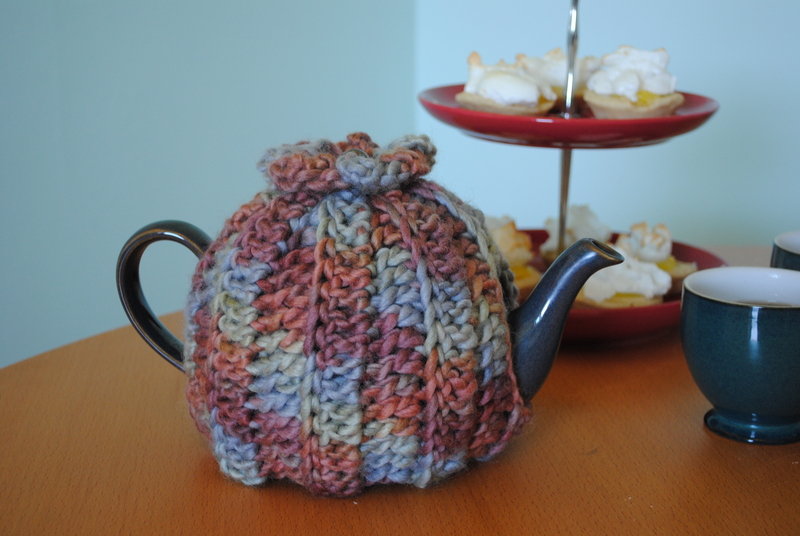 This gorgeous tea cosy will be the envy of all at your next tea party. The cosy slips over your tea pot with slots for the handle and spout. 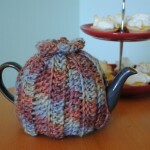 It gathers at the top, creating a flower effect with the tea pot lid. 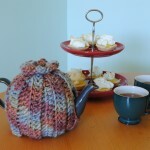 The tea cosy will fit a pot of approximately 50 cm in circumference (six cup pot). 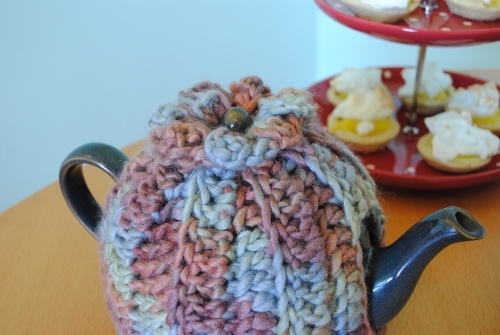 The tea cosy is made from 70% wool and 30% silk. 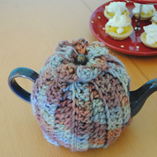 If you would like something similar in a different size or yarn, please contact me. 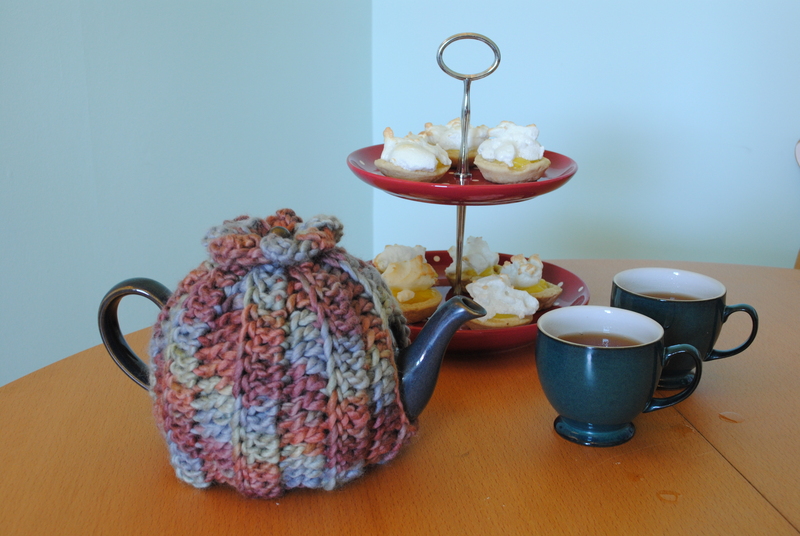 There’s something nice about having the fitting tea cosy! 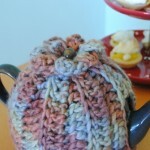 If you like this, please consider sharing it or check me out on Facebook.